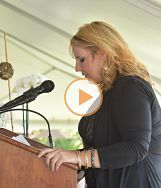 On October 12, 2014, Shauna Durrwachter, arrived at Marian Regional Medical Center in a panic after her son, Zachery Gallagher, was in a serious motorcycle accident and was in critical condition. Zachery slid on concrete for 30 feet and was pinned under a van, requiring emergency responders to use the Jaws of Life to remove him. Zachery was on life support for one month following the accident. 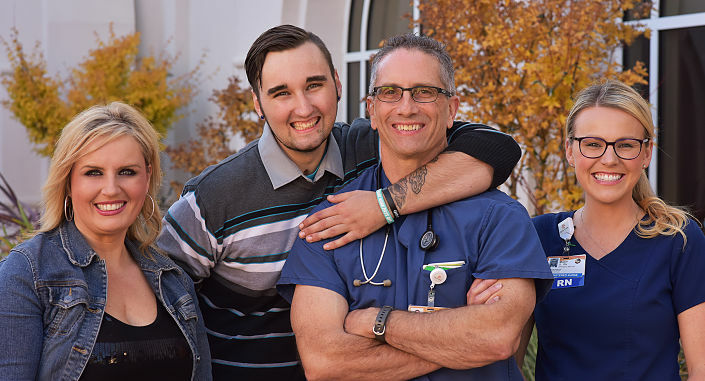 He broke almost every bone in his body, suffered from a collapsed lung, head trauma, and experienced multiple surgeries and countless other healing hurdles to overcome due to his traumatic injuries. As a designated Level III Trauma Center, Marian provides patients with access to medical experts specializing in emergency resuscitation, surgery, and intensive care—elevating the level of care for all. As Zachery’s story shows, the survival of emergency and trauma patients depends on the quality and proximity to lifesaving medical care. To learn more about the Marian Emergency Services Expansion Project, click here. Trauma patient Zachery Gallagher's mother, Shauna Durrwachter, delivered a moving testimonial at the 2015 Annual Dinner about their family's life-changing and lifesaving patient experience.